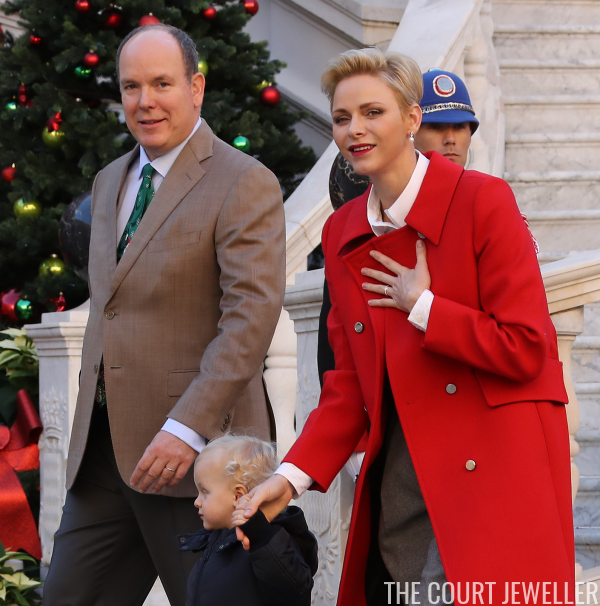 For the occasion, Charlene chose a classic pair of earrings: round pearls suspended from two round diamonds. 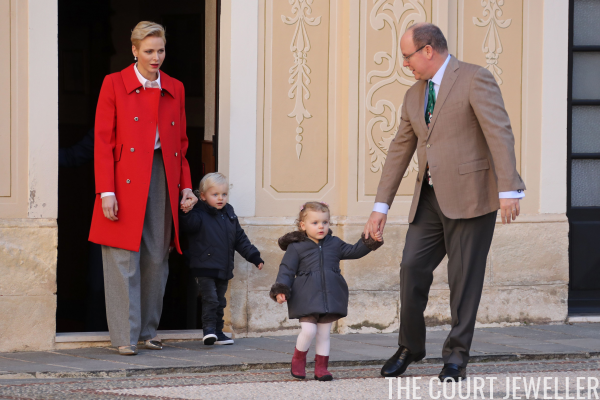 The couple arrived with their twins, Princess Gabriella and Prince Jacques, who just turned two. Jacques ended up enduring a little more of the party than Gabriella, who headed home early. Both Albert's and Charlene's wedding rings were on display during the photocall.